The original Somerset and Dorset Railway closed very controversially in 1966. It is time that decision, made in a very different world, was reversed. We now have many councillors, MPs, businesses and individuals living along the line supporting us. Even the Ministry of Transport supports our general aim. The New S&D was formed in 2009 with the aim of rebuilding as much of the route as possible, at the very least the main line from Bath (Britain's only World Heritage City) to Bournemouth (our premier seaside resort); as well as the branches to Wells, Glastonbury and Wimborne. We will achieve this through a mix of lobbying, trackbed purchase and restoration of sections of the route as they become economically viable. With Climate Change, road congestion, capacity constraints on the railways and now Peak Oil firmly on the agenda we are pushing against an open door. We already own Midford just south of Bath, and are restoring Spetisbury under license from DCC, but this is just the start. 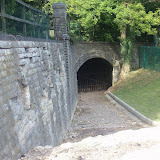 There are other established groups restoring stations and line at Midsomer Norton and Shillingstone, and the fabulous narrow gauge line near Templevcombe, the Gartell Railway. Our aim is to use a mix of lobbying, strategic track-bed purchase, fundraising and encouragement and support of groups already preserving sections of the route, as well as working with local and national government, local people, countryside groups and railway enthusiasts (of all types!) 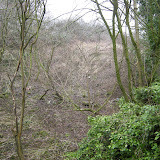 To restore sections of the route as they become viable. 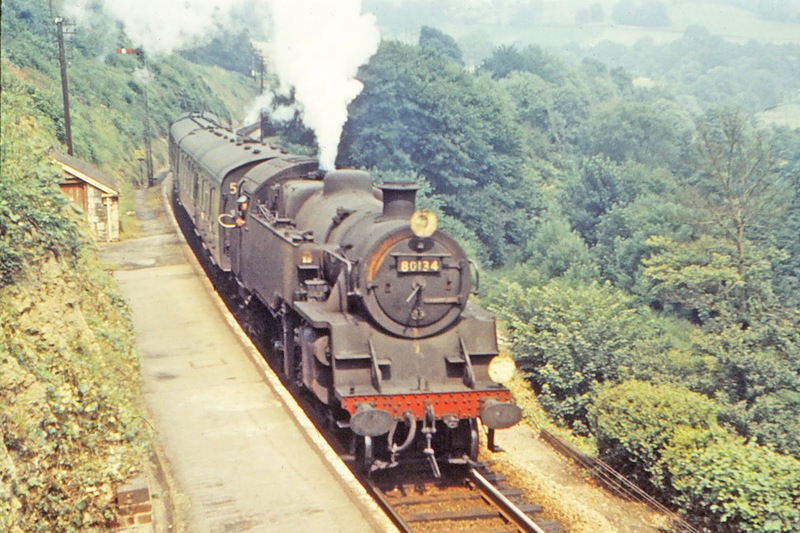 Whilst the New S&D will primarily be a modern passenger and freight railway offering state of the art trains and services, we will also restore the infrastructure to the highest standards and encourage steam working and steam specials over all sections of the route, as well as work very closely with existing heritage lines established on the route. 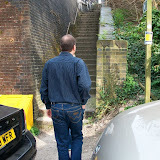 This blog contains my personal views. Anything said here does not necessarily represent the aims or views of any of the groups currently restoring, preserving or operating trains over the Somerset and Dorset Railway! All members and supporters are of course welcome to attend the unveiling on the day, it's a joint venture between Two Tunnels, Sustrans and the New S&D. The board is one of several being erected along this part of the route to give info on the line and the cycleway, and they also direct potential new members to the New S&D! I recently drove from Poole to Shaftesbury, until well after Blandford the road parallels the route of the S&D it is one of the most inadequate and potentially dangerous roads in southern England,I am astonished that the S&D was closed in preference to this road which to replace would cost many times more than reinstating the Railway the trackbed of the S&D not suitable for any conversion thank heaven! Joining the New S&D is easy - simply click on the Paypal button below for ordinary (£15), junior (£7) or LIFE (£250) membership. Membership gives you the right (with full insurance cover) to work at either of our sites at Midford and Spetisbury, 2 magazines per year and 10% discount on items from our online sales site and, in the future, reduced fares on trains! WANTED FOR THE NEW S&D! SALES OFFICER - to develop mail order and internet sales, also attend events up and down the route to promote the line. At a later stage will be fully responsible for building shop stock at Midford and Spetisbury. PROMOTIONS OFFICER - to promote the line via meetings etc. Would also liaise with local and regional government, working as a lobbyist for the New S&D. Would work closely with the PRESS OFFICER. TREASURER - to take care of the accounts, make payments etc, and advise on financial matters. HERITAGE OFFICER - to promote and care for all the heritage aspects of the line. Ideally the sales officer position needs to be held by somebody local to the line - would happily split this role Dorset/Somerset if it makes it more manageable! Ideally the Promotions Officer would also live locally to the line. The other posts can be distant from the line. will be our AGM, spring 2015 location to be decided, but will be in the Bath area. Midford progress - a new album! Volunteers are welcome to go up to Midford at any time to do restoration work - but please bear the following in mind! Please under no circumstances park in the Hope and Anchor car park at any time, even when the pub is not open. There is plenty of car parking on Twinhoe Lane, by the gate that gives access to the cycleway. 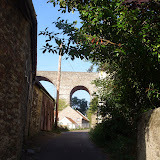 From there it is a very pleasant walk to the station over the viaduct! Please carry tools etc by hand. Please email or phone me first just so I know there is somebody there and to give you an idea of what work needs to be done. Within a few weeks we will have New S&D reflective jackets available. Please wear these whenever possible. You are an ambassador for the line. Please talk to anyone who is interested in the line and if you have them please hand out leaflets. Be friendly and professional at all times! Please keep the cycleway clear of tools etc at all times. Please take ALL litter etc home, including cigarette ends. Please respect all the wildlife in the area, always check if clearing that you are not destroying a nest etc. If in doubt please leave well alone. Please use the Hope and Anchor pub for drinks and food. We do not currently have insurance for volunteers. You are working at your own risk, personal injury insurance is recommended. Please take care at all times and think of others, volunteers and members of the public. 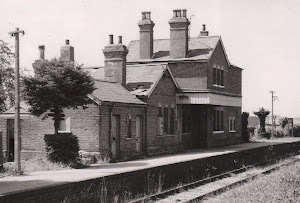 Volunteers to join the regular working parties restoring MIDFORD station. You need to be a New S&D member (you can sign up on the day). Bring tools etc! Work parties will be on most Sundays - but check here or email first! or join the Midford Facebook Group. Don't forget to join the New S&D Facebook group! The first aim of the New S&D will be to secure the station site at Midford and rebuild the station as a visitor information centre. This will only be the very first small step to restoring the route, but possibly the most important. As Paypal charges can be high it is better to make larger donations (£20+) by cheque wherever possible, but please feel free to use this facility for any amounts if easier! 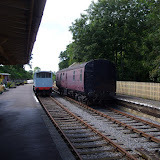 Cheques should be made payable to 'New Somerset and Dorset Railway' and sent to New S&D, Midford Station Appeal, 10 Bellamy Avenue, Hartcliffe, BRISTOL, BS13 0HW. We may be introducing a share scheme for the station so a record will be made of all donations and if a share scheme is agreed then all moneys will be allocated to doners and shares issued to the full value of donations made. Basic membership is just £15 per year. This entitles you to participate in all New S&D activities, receive regular news and info (by email and/or post), vote at meetings, receive 10% reduction on sales items and, if you wish, contribute directly to the blog. You can now donate specifically for those aspects of the New S&D that you personally have the most interest in. New S&D Steam Centre Plan is to create a base on the route (Templecombe or Evercreech are suggested) where steam locomotives can be shedded and serviced and run services over the route. These will be additional to the 'real' passenger and freight scheduled services. You can donate any amount by clicking the Paypal button below. If your main interest is in purchasing and securing land and buildings then you can donate any amount specifically for this purpose by clicking on the Paypal button below. If you would like to donate towards lobbying local, regional and national government in addition to helping maintain a high media profile then you can donate any amount by clicking the Paypal button below. LOBBYING AND MEDIA. 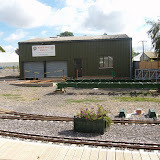 New Somerset and Dorset Railway, 10 Bellamy Avenue, Hartcliffe, BRISTOL, BS13 0HW. THE S&D MESSAGE BOARD - agree/disgree with what's being said? S&D news or views? Please share! What group does what on the S&D? The S&D was a large network, over 100 miles in all, and was the most popular line in the UK, if not the world. For this reason there are a variety of groups restoring and preserving the S&D. 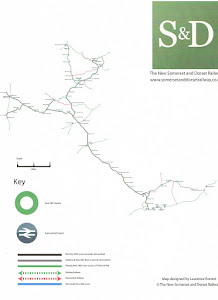 The New Somerset and Dorset Railway - a land purchasing and lobbying group determined to reopen the whole S&D as a response to Peak Oil and Climate Change, blending sustainable modern and heritage transport. Direct email contact. 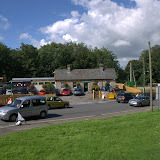 They also manage the growing Somerset and Dorset Railway ecommerce site here. 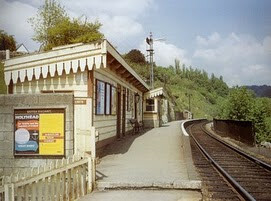 They own and are currently restoring Midford station and will shortly do the same at Spetisbury, for rebuilding as information offices for the whole route. Facebook. Somerset and Dorset Railway Heritage Trust - restoring Midsomer Norton station with plans to extend to Radstock and towards Shepton Mallet. In summer regular passnger trains are operated at this iconic S&D location. The station and area have been restored to their full pre-closure glory. 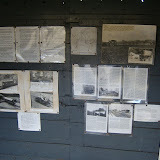 There is also a museum on site. Sturminster Rail Group - aim is to purchase strategic sections of the route particularly between Sturminster Newton and Henstridge to allow the running of trains in the future. 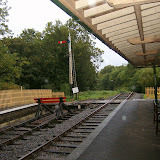 North Dorset Railway Trust - based at Shillingstone in Dorset has restored the iconic station at Shillingstone and is also in the process of laying track for up to a mile. They have a diesel loco on site and will shortly be taking delivery of steam loco 'Cunarder'. Facebook. 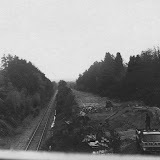 Gartell Light Railway - a two foot gauge private railway operating on part of the S&D near Templecombe, currently extending northwards. Operates about once a month. 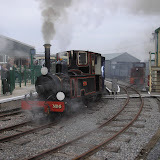 Somerset and Dorset Railway Trust - based at Washford on the West Somerset Railway, preserving relics and rolling stock of the S&D. Spetisbury Facebook Group - news about the restoration of Spetisbury as part of the New S&D initiative. 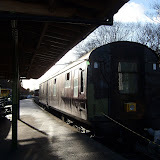 Midford Facebook Group - news about the restoration of Midford as part of the New S&D initiative . 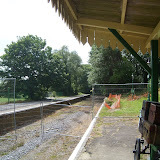 There is also a private restoration project at Masbury station but PLEASE do not trespass on the site! Remember you can help raise money for the New Somerset and Dorset Railway or the Somerset and Dorset Railway Heritage Trust (Midsomer Norton) by sending used stamps to us. 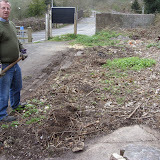 These are quickly turned into cash which will help us set the organisation up or continue the work at Midsomer Norton. ALL stamps are required, even the regular 1st and 2nd class small ones. Ideally they should be trimmed to within about 1/4" of the perforations, on just the front part of the envelope. 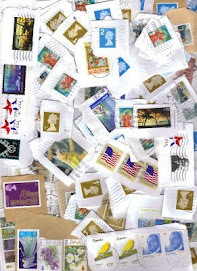 We can handle just a few stamps or huge boxes of them. They raise £5 per kilogram.World stamps also wanted (without GB). For these we receive £19 per kilogram. Please try to use nice higher value commemorative stamps to send your stamps to us! We do occasionally use images and text from other people. Wherever possible we do contact the creators to clear use, but it is sometimes hard to trace the original copyright, for example if we use an uncredited image from a third party website. Please be assured that all text and images are for strictly non-commercial use. If you are a copyright holder and we have used your text or images please contact us and we will endeavour to either remove the text/images or come to an agreement for their use. We all have the interest of the S&D at heart.